Hey folks, So I noticed that Codemeter gets installed when installing Onyx PC software. When opening the command-let, it give a continual complaint. 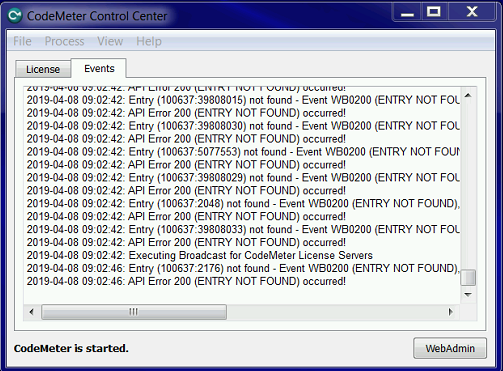 2019-04-08 09:05:00: API Error 200 (ENTRY NOT FOUND) occurred! Is this program needed w/my current setup (one dongle, less-than one universe). Is there something I need to change in the config to stop the error? Is this program outdated (I have not installed on latest ONYX version on my live system).